Have you ever had a flat tire on a dark road and didn't have a flash light with you? Even if you did it made it hard to change the tire and hold the flash light at the same time? I was given the opportunity to try out a light that changes all that. 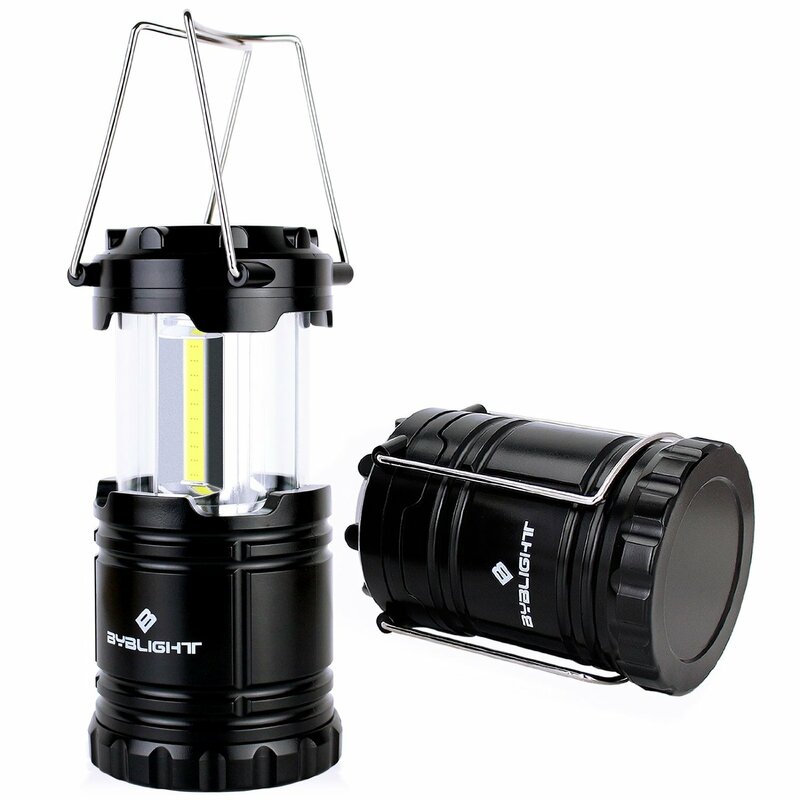 BYB Super Bright Portable COB LED Camping Lantern is perfect for such a situation. My son likes to take it fishing with him in case he doesn't leave the lake until after dark, but it would even be good to take camping too. I was really surprised at how much light this little lantern gives off. It operates on 3 AA batteries that are not included. I really like that it collapses and takes up hardly ant storage space, and the globe is protected from breaking when not in use. This little light should be in every vehicle just in case. This week I was also given a great car charger to try out. This is the Triple Booster Car Charger by Krispin Electronics. This charger will charge just about any device I have and will charge up to 3 devices simultaneously. It comes with the charger with 3 powerful USB ports, a Micro-USB cable for Windows-Phone and Android users, a 30- pin (dock) USB cable for iPhone 4 users,an 8-pin (lightning) USB cable for iPhone 6 users, and a carrying bag for all your accessories. 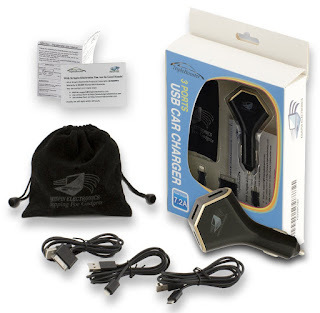 This is an advanced charger with your safety in mind. It has built in over charge protection, over discharge protection, short-circuit protection, and stable voltage protection, not to mention over heating protection, ect. This charger senses your device and allows the maximum power allowed for it. Each port has it's own LED light to let you know it's working and when your device is fully charged it will stop working and the light goes off. The LED lights are a soft light so they don't distract you from driving, but bright enough to see that they are on. This charger is a must have!